Travious Dewan Steele was arrested Sunday. 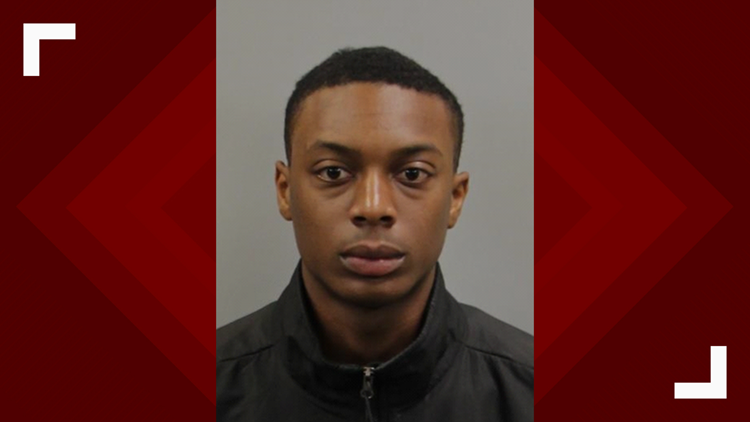 Travious Steele tried to destroy an unknown amount of marijuana by ingesting it, according to the Randolph County Sheriff's Office. A 21-year-old Randolph County man tried to eat the stash of marijuana on him while police conducted a traffic stop Sunday. Travious Steele tried to destroy an unknown amount of marijuana by ingesting it, according to the Randolph County Sheriff's Office. Officers detected an odor of marijuana and saw Steele trying to 'destroy' of the drug. Steele was pulled over on Moffitt Mill Road near Picketts Mill Road in Ramseur because of a headlamp violation. Steele was charged with Simple Possession of Schedule VI, Headlamp Violation, Give/Lend/Borrow of License Plate, and Felony Destruction of Evidence. Steele was given a $2,500 secured bond. He has a court date of Jan. 28.